Hotel guests! The remote you are holding in your hand right now may be the filthiest object in the room. Up until now, when checking into a hotel room Dr. Gerba had avoided using the TV remote in his hotel rooms. Other travelers use the devices, but wipe it down with sanitizer or cover it with a plastic glove or shower caps. Now Dr. Gerba and other travellers do not have to worry quite so much if their hotel has DIRECTV, the satellite TV service. 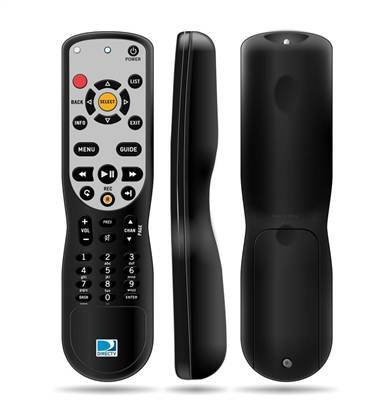 As part of a new “Residential Experience for Hotels” package, DIRECTV is rolling out an anti-microbial remote control coated with a germ-resistant finish. The company says the new coating will not change the feel of remote, but will offer “up to 99.99 percent protection from harmful organisms such as bacteria, mold and fungi”, according to Rod Keller, vice president of commercial Sales for DIRECTV. In addition to protection against germs, DIRECTV’s Residential Experience offers hotel guests more than 100 HD channels including CNN, ESPN and HBO, up to 10 times more than other cable or satellite TV packages for hotels. This paradigm shift in TV for Hotels also boasts an interactive programming guide co-branded with the hotel, so no more flipping through channels or trying to find out where your favorite channel or programming is on a printed card. Hotels who decide to give their guests DIRECTV’s Residential Experience also get the added benefit of no upfront costs for equipment. In the tight economy we are experiencing today, not having to lay out a large capital expenditure to make the transition to HD programming will ease the process for hotels across the country. The new germ resistant remote and “Residential Experience for Hotels” is being testing in some Hilton and Aloft properties currently and will be available for your hotel in late July. DIRECTV’s service for lodging and institutions provides guests with free-to-guest programming in hotels, motels, hospitals, dormitories and nursing homes with the choice of a package or an a la carte basis. DIRECTV’s single-dish solution enables properties to install one mini-dish per rooftop, and if a property is already wired for video distribution, installation is that much easier.